We will start off with an interesting infographic I found (link listed below). Do you have at least 10x your annual income? Does it sound like a lot? Let’s start with funeral costs. You could say we’ve gone morbid, but it is an important thing to plan for. 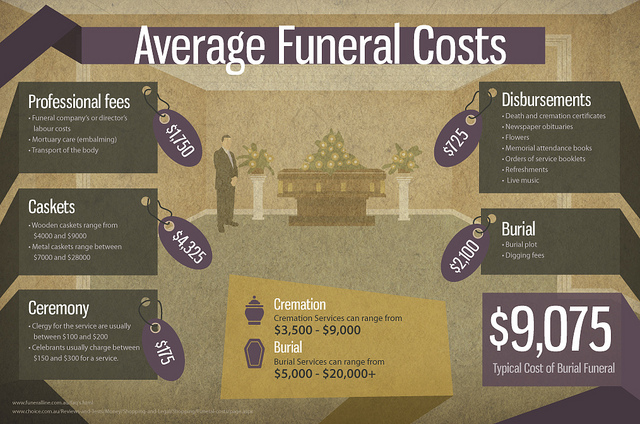 You don’t want to burden your loved one (who is already grieving) with the cost of funeral expenses. Friday, we will discuss the life insurance suggestion. WHY do experts and professionals recommend 10x the annual income? If you want a life insurance evaluation or a second opinion on your current life insurance. 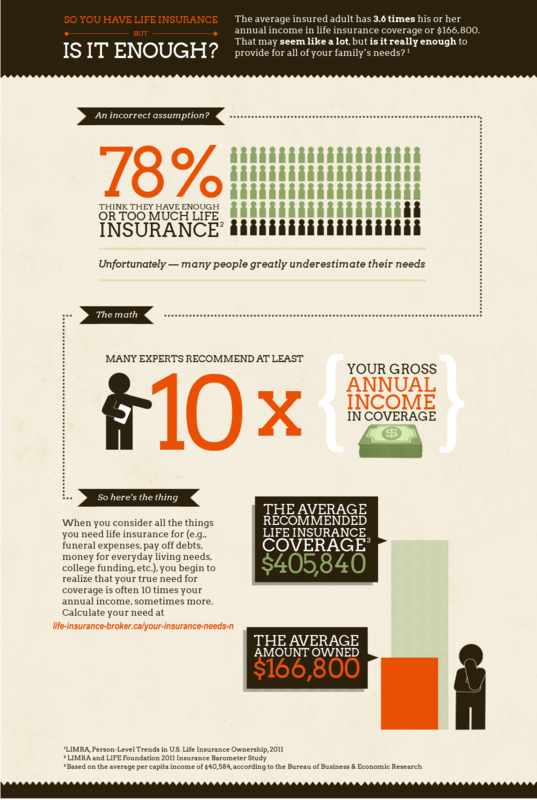 Here’s a brief explanation on the importance of life insurance here. Remember to like us on Facebook; follow us on twitter, and LinkedIn!